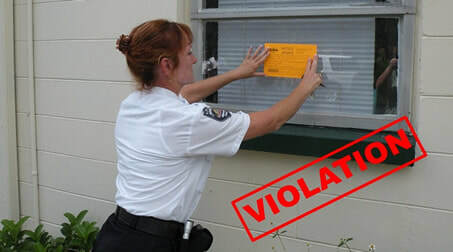 Anytime you undergo an inspection there’s the chance of being given a notice of violation of a specific building code. Left unfixed, this notice can turn into anything from a hefty fine to closure of the structure. Because of the negative effects from building code violations, you should address the issues in question as soon as possible. Fixing building code violations is a simple process, though, requiring little more than contacting the right repair people and finishing the repair process in time for the follow-up inspection. Approaching the problem in a timely and efficient manner is the key, but done correctly should have you up to code with time to spare. 1) Make a checklist of all of your building code violations grouped into categories based on contractor type. This ensures quick completion of the repairs that won’t have your contractors getting in one another’s way. 2) Download the building codes for your area from an online site like Municode. Reference the codes to determine the extent of repair necessary to fix each individual violation. 3) Contact a building code consultant in your area if you are unsure about how to bring a particular violation up to code. 4) Obtain a work permit, if necessary for construction, to proceed with the building repairs. 5) Contact and hire licensed contractors to handle the repair work for your building. Ask around among other building owners in the area for contractors with a reputation for good work that’s completed within the estimated project times. 6) Repair structural violations first. Handle major repairs that involve going into the interior of the walls, such as wiring, plumbing or anything else of this nature, before any other repairs. This will make sure you won’t have to undo any superficial repairs later to gain access to the structure of the building. 7) Repair any fire safety code violations next. Make sure that your building meets all codes for fire safety in your locale, installing sprinkler systems, alarms or fire extinguishers as needed. 8) Make any accessibility changes necessary. This includes any ramps or handrails. Hire a licensed architect to make any changes in the building required for accessibility options such as widening doors for wheelchair access. 9) Put up any signs required by local building codes such as maximum occupancy rates or exit signs. Make any other minor superficial repairs required as well. Why Should I Go With A Smart Thermostat? Years ago, homeowners didn’t give much thought to their thermostat — it was a piece of equipment with simple functions: turn the heat or air conditioning on or off, adjust the temperature, and maybe control the fan. Then along came the programmable thermostat, and a big push for installation, citing their energy-saving capabilities and the convenience they offer. Over time, many households have replaced basic manual thermostats with programmable models, offering families more control over their comfort and energy use. Over the last few years, you’ve probably heard a new term in the world of thermostats: the smart thermostat. While smart thermostats are the latest trend in home comfort and energy control, many homeowners do not know a lot about them; unless you’re a technology junkie. So what’s the big deal about smart thermostats? Read on and you’ll see. Why Would I Want A Smart Thermostat? A programmable thermostat allows you to program temperature settings around your household needs, helping you save energy by offering automatic control — smart thermostats offer capabilities above and beyond the programmable stat, keeping homeowners connected and aware of their comfort and energy settings. Smart thermostats present homeowners with a variety of useful features, such as WiFi connectivity, maintenance alerts, data on energy use, and even the ability to learn your family’s comfort needs. Smart thermostats keep homeowners connected and informed regarding their HVAC system and energy use, with the goal of creating a more comfortable and energy efficient indoor environment with little homeowner effort involved. Popular models include the Nest and Ecobee4 smart thermostats. Effortless programmingA smart thermostat learns your schedule and preferences, keeping you comfortable without the need to adjust temperatures or set schedules on your part. Wireless connectivityControl your thermostat from your smartphone, tablet or computer. Usage dataYour smart thermostat compiles data regarding your energy usage for your review, so you can further fine-tune your HVAC system usage to maximize your savings. Is A Smart Thermostat Worth The Cost? It’s no secret — a smart thermostat is going to cost you more than a programmable model. Some smart thermostats feature easy installation that a homeowner can complete on their own, while others require professional installation, further raising your costs. With the hefty price tag on a smart stat, many homeowners question if it’s really worth the cost. Our answer is yes. The energy savings achieved by smart thermostat usage will allow the equipment to pay for itself over time. If you currently have a manual thermostat, upgrading to a smart stat is certainly going to be worth it, because of the energy savings it will help you gain by taking system adjustments out of your hands (user errors and forgetfulness account for a great deal of energy waste). If you already have a programmable thermostat and are using it properly, a smart stat can still help you save. The data it provides and advanced features will help you fine-tune your energy use. 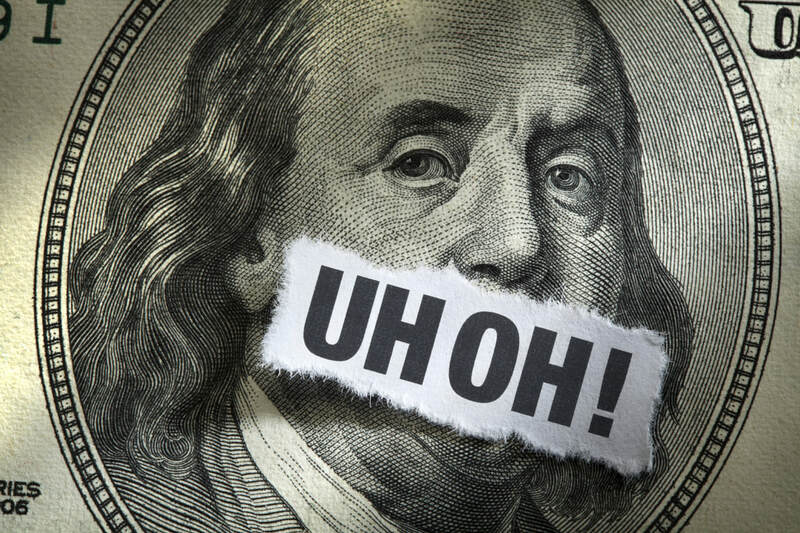 Since you’re already using a programmable stat, the payback period may be longer. While actual savings will vary from home to home based on factors such as temperature preferences and energy costs, installing a smart thermostat offers the potential for significant savings. According to ENERGY STAR, correct use of a programmable thermostat will save you approximately $180 per year. The big IF with a programmable thermostat is whether or not you’re using it correctly — since a smart thermostat eliminates the element of user error with a programmable thermostat, it’s safe to say you’ll have comparable savings. Here is what you can expect to save using an Ecobee4 smart thermostat: Annual Savings Using An Ecobee4. Many smart thermostat manufacturers offer online savings calculators which can help you determine your potential savings based on the area in which you live. 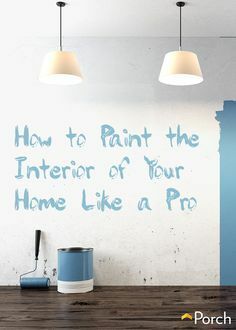 How To Paint A Room Like A Pro! Painting the entire interior of a house can transform it from mundane to awe inspiring! It will also raise property values and help you sell your home faster. Doing it right requires serious planning, but can be worth the effort for many reasons. Painting the Interior of your home is by far the most popular do-it-yourself home improvement activity, and it's easy to see why. There's no better, more affordable way to freshen up rooms than with a new coat of paint. Plus, painting isn't terribly difficult and doesn't require specialized training. Any able-bodied homeowner can paint rooms—all you need is a little patience, practice, and some helpful advice. These painting tips can help even novice DIYers achieve professional-quality results. Follow these suggestions and you'll not only paint better, you'll work faster and neater, too. A successful paint job starts with properly preparing the surface you're going to paint. That means you must scrape, sand, patch, and fill every hole, crack, dent, and surface imperfection. This isn't the fun part of painting a room, but it is the most important part. No paint, regardless of its cost, color, thickness, or manufacturer's claims, will hide a pockmarked or cracked surface. Priming walls and ceilings is mandatory whenever you're painting new drywall or painting over a dark color. But it's smart to prime any time you paint. Primer serves three main functions. First, it blocks stains from bleeding through. Second, it allows one-coat coverage for the paint. Third, and most important, it improves paint adhesion, which greatly reduces blisters and peeling. Plastic drop cloths provide an inexpensive way to protect floors and furnishings from paint spatters, but you'd be much better off investing in canvas ones. Canvas is extremely durable and rip-resistant. It lays flat and presents much less of a tripping hazard. Canvas absorbs paint drips, unlike plastic drop cloths, which become slippery when spattered with paint. Canvas drop cloths can be easily folded around corners and doorways, something that's impossible to do with plastic sheeting. Plus, most plastic drop cloths must be tossed out after using. Canvas drop cloths will last a lifetime. Forget the stepladder and get yourself a telescoping extension pole for your paint roller. Extension poles come in various lengths, up to 18 feet long, but one that extends from 18 to 36 inches is good enough to paint rooms with 8- to 9-foot-tall ceilings. Check that your paint roller's handle has a threaded hole in the end, then simply twist it onto the extension pole. Rolling paint from a paint tray is a futile, messy proposition. Here's a faster, neater, better approach: Roll paint directly from a 5-gallon bucket using a paint grid. A paint grid is simply a rectangular, rigid metal or plastic screen that hooks onto the rim of the bucket. Fill the bucket about halfway with paint, then hang the grid inside the bucket. Dip the roller sleeve into the paint, and roll it against the grid to remove excess paint. It's that easy. At the end of the day, drop the grid into the bucket and snap on the lid. If you're done painting for the day but still have more to do tomorrow, you don't have to go through the laborious process of cleaning your paintbrushes and paint-roller sleeves. Instead, simply brush or roll off the excess paint, then tightly wrap them in plastic food wrap. If necessary, double up the plastic to seal out any air, then place the wrapped brushes and roller sleeves in the refrigerator to keep them fresh. This might sound crazy, but it works—it'll keep the paint from drying overnight and rendering your equipment unusable. If painting is too much work for you and your family, that doesn't mean that you shouldn't get your rooms painted. You may want to consider hiring Professional house painters because they have years of experience and knowhow, and they ask the right questions and offer the best advice as to the latest color trends and which paints offer the best bang for the buck. Don't Ignore These Warning Signs! Its important to address the problems identified above right away so that you can avoid costly repairs that go beyond the actual cause. A good example would be a leaky roof that can destroy your ceiling joist which can lead to damaged electrical lines, etc.. Simply inspecting your home periodically by walking around it to make sure everything looks ok and if you don't have the knowledge of expertise to fix it, always go to the pro's that can. Cooler temps on the horizon, so it's time to make sure your home is prepared. Consider these tasks, and start checking them off! 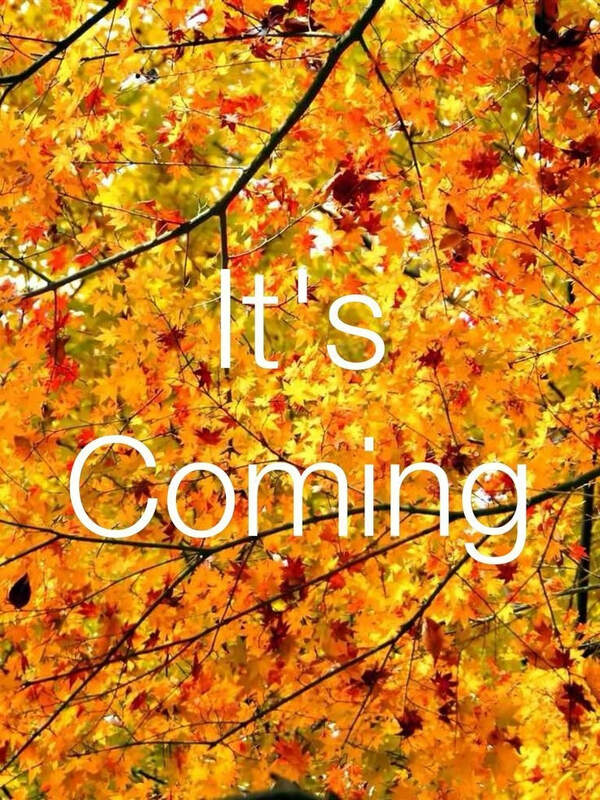 Make sure your home is ready to deal with the rain and snow that comes as the seasons change. Walk around your home and check for loose gutters, broken pieces and detached downspouts and make the necessary repairs. Ensure your gutters are clear of leaves and other debris and that your downspouts are directing water away from your foundation. Fall is the perfect time to make sure your house is properly caulked and your weatherstripping is in good shape. Inspect around windows, doors and anywhere else two materials meet to make sure the caulk is in good shape. Check weatherstripping around doors and replace if it's broken or missing – it's super easy to do. No one wants to be fixing a roof in the dead of winter. Give it a once-over to make sure there aren't any signs of trouble. Pay attention to broken or missing shingles, missing flashing and any discoloration. Changing temperatures and moisture can turn a small concrete problem into a big one. Take some time to repair broken concrete and get some more time out of your sidewalk, driveway and steps before they're in need of full replacement. If you're not a winter griller, now's the time to pack away your grill before it's covered with a foot of snow. In addition to giving your grill a thorough cleaning to remove grease and food scraps, take these steps to help prevent any unpleasant surprises when you fire up your grill again next spring. Shut off the gas at the LP tank, unfasten the burner, slip the gas tubes off the gas lines and lift out the unit. Coat the burners and other metal parts with cooking oil to repel moisture that can build up over the winter and to prevent rust. Then wrap the burner unit in a plastic bag to keep spiders and insects from nesting in the gas tubes during the winter. This is a common problem that can make for balky starts, uneven flames or even a one-alarm fire the next time you light your grill. If you're storing your grill outside during the winter, just keep the propane tank connected (but shut off) and put a protective cover over the entire grill when you're done cleaning it. If you're storing the grill indoors, don't bring the tank inside, even into the garage or a storage shed. A small gas leak can cause a huge explosion if the tank is stored in an enclosed space. Instead, disconnect the tank and store it outside in an upright position away from dryer and furnace vents and children's play areas. Tape a plastic bag over the grill's gas line opening to prevent insects from nesting. You don't have to pay someone to blow out your sprinkler system. You can do it with your own compressor, but be aware that even the largest home compressor isn't powerful enough to blow out the entire system at once. If you like number crunching and you have the original irrigation layout showing the gallons per minute (gpm) of each sprinkler head, divide the gpm of each zone by 7.5. That'll give you the cubic feet per minute (cfm) you need to blow it out. Otherwise, rent a 10-cfm compressor and hose from a tool rental center. Set the compressor air pressure regulator to a maximum of 80 psi for rigid PVC pipe systems, or 50 psi for flexible black polyethylene pipe. Then turn off the water supply and set the system timer to open just one zone. Next, open the manual drain valve at the end of that zone (if equipped). Then, connect the air line to the blow-out port, as shown. Close off both valves on the backflow preventer. Then remove the plug on the blow-out port and screw in a quick-connect hose adapter. Snap on the air hose and connect the other end to the compressor. Now blow out the line. The heads should pop up and spit out water. Disconnect the hose as soon as they run dry. Don't overdo the blow-out—without water cooling the plastic gears, they can melt in less than a minute. Move on to the next zone and allow the heads to cool. Then go back and blow out each zone a second time. Changing your furnace filter is one of the easiest things you can do to keep your furnace in good shape. If you haven't changed it in a while, make sure you have a fresh one before your turn your furnace on for the first time. Annual Tune Up And Maintenance For Your FurnaceMake sure your furnace is in good shape before you really need to use it. With a few tools and some time, you can perform a DIY furnace inspection to head off problems before they start. Extend the life of your water heater tank and maintain your water heater's efficiency and safety with a few minutes of basic maintenance once a year. Learn how to clean sediment from your water heater here. Don't just shut off your lawnmower and leave it until spring – that's a bad idea. But winterizing your mower only takes an hour. Give the deck a thorough cleaning. Then, add fuel stabilizer and a few ounces of oil to make sure the engine will start right up without hesitation in the spring. Store Outdoor FurnitureDon’t leave your outdoor furniture exposed to the elements all winter long. At the very least, give your furniture a thorough cleaning and cover it or bring it inside for the season. Whether you have a source of wood on your property or need to purchase a cord or two, fall is a great time to spend cutting and chopping wood to burn in your fireplace all winter long. And if you're using a chain saw, make sure to brush up on your safety knowledge before you hit the forest. It's important to apply fertilizer to your lawn during the fall – in fact, if you only apply fertilizer once a year, fall is the time to do it. Your lawn has spent all summer growing and it's hungry. Bring Paint InsideFreezing can ruin latex paint and other finishes, so make sure to move your paint inside before the first frost. Some latex paint can survive a couple freeze/thaw cycles, but it's better not to chance it. Cold can wreak havoc on garage door tracks. Make sure your garage door is in good shape so you don't find yourself stuck in the garage (or worse yet – stuck outside). Learn all you need to know about fixing your garage door here. There are so many more things you can do to get your home ready for the winter.....our best advice is to use some common sense. Ask yourself these two questions; "Can water, or the cold weather ruin it and how much will it cost me? If you answer "Yes" to any of these two questions, make sure that you take care of it before its too late! We're local handy guys and girls who love to build things, rebuild things and create things!